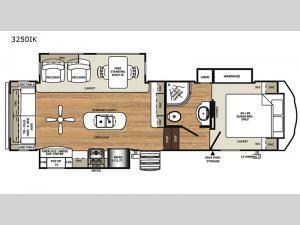 You're going to love camping in this Forest River Sandpiper HT 3250IK! 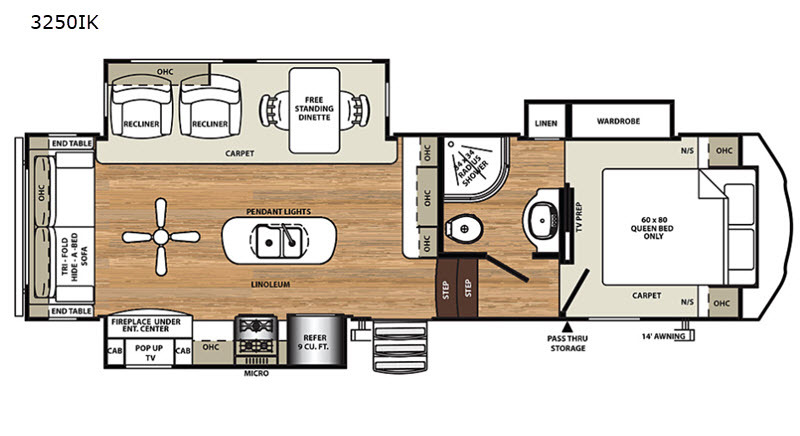 This fifth wheel offers everything you will need to experience a home away from home feeling. From the front private bedroom with a queen bed, nightstands on either side, and a large wardrobe to the rear living area with a fireplace under the entertainment center. There is even a kitchen island with pendant lights, a double bowl sink, storage space below, and extra counter space to make your meal prep even easier. You will enjoy freshening up in the dual entry bath with the colored 34"x34" radius shower with an etched tile pattern, a porcelain foot flush toilet, a vanity sink, and even a linen closet to keep things tidy!